Valve type: diaphragm (operated by Servo). Operation mode: normally closed. Usage: water and low viscosity fluids. Max fluid temperature: 100°C. USA, Canada, United Kingdom, Austrilia, France, Germany, Spain, Ireland, Italy, Others. 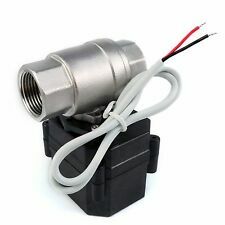 1PCS 1/2" N/C Magnetic Electric Solenoid Valve Water Air Inlet Flow Switch DC 12V. Valve type:diaphragm (operated by Servo). Usage:water and low viscosity fluids. The RapidAir 3/4in. MaxLine compressed air piping system is designed for high-demand air tool users and longer air line runs in large buildings. It features high-density polyethylene (HDPE) tubing with an aluminum core to maintain any hand-bent shape for easy wall installation. Material of body: brass. Flow direction: unidirectional (follow the arrow on valve body). Operation type: 2-way 2-position direct lift diaphragm. Water pressure: 0.02-0.8Mpa. Note: Light shooting and different displays may cause the color of the item in the picture a little different from the real thing. Armature Tube Material: Brass. 1 x Solenoid Valve. Key Chains, Rings & Finders. Intimates & Sleep. Health & Beauty. Valve Type: 2 Way Normally Closed (Valve opens with energized). Body Material: Aluminum. 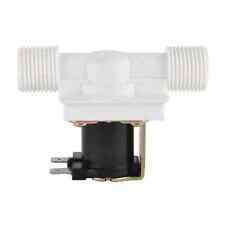 1/2" N/C DC 12V Magnetic Electric Solenoid Valve Water Air Inlet Flow Switch. 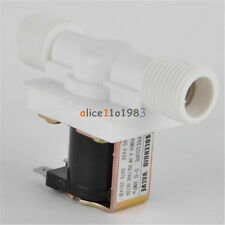 1PCS 1/2" N/C Magnetic Electric Solenoid Valve Water Air Inlet Flow Switch DC 12V. Valve type:diaphragm (operated by Servo). 110 Volt AC Solenoid Valve. The temperature will stabilize without failure. Whenever possible the valve should be installed in a well ventilated are to increase the life of the coil. Operation Type Semi-Direct Lift Valve. Armature Tube Material: Brass. 1 x Solenoid Valve. Valve Type: 2 Way Normally Closed (Valve opens with energized). Body Material: Aluminum. 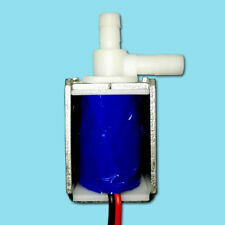 Coil Power: 6.5W Material Seal Material: NBR (Buna N). Valve type: diaphragm (operated by Servo). Operation mode: normally closed. Usage: water and low viscosity fluids. Max fluid temperature: 100°C. It is not suitable for use with gravity fed systems. USA, Canada, United Kingdom, Austrilia, France, Germany, Spain, Ireland, Italy, Others. Construction: Brass body & Internals, Stainless Steel Poppet with Fluorocarbon O Ring. 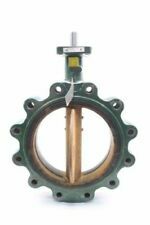 The CR Series Valve is an adjustable relief valve. 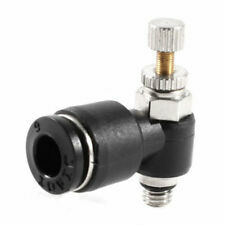 Inlet is 1/4 NPT with Vibraseal thread sealant. Weight: 2.4 oz. This electromagnet: the initial stroke load only about 150g, but the half end stroke is huge(about 2kg). > We maintain high standards of excellence. More suitable for impact of the work. We strive for provides good product and better service. 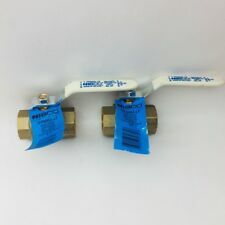 Specifications: Voltage: 12V DC Current: 250mA Pressure: 0.02 - 0.8Mpa Valve type: diaphragm (operated by Servo) Operation mode: normally closed Inlet and outlet: hose barbs for 1/2" (outer diameter) hose Fluid temperature: 1-100 ℃ Usage: water and low viscosity fluids Package included: 1 x Electric Solenoid Valve for Water Air N/C 12V DC 1/2" X-086. 4V210-08 5Ports2Position Single Solenoid Pneumatic Air Valve 1/4" BSPT. Port Size: 1/4" BSPT. 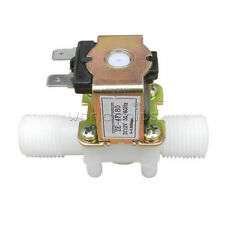 Type: 5/2 Way Internally Piloted Acting Type Single Solenoid Valve. Category: Pneumatic Valves. Power consumption: AC:1.3W DC:1.5W. This solenoid valve not only can keep the constant current steady flow, but also prevent the dry burning and monitoring the flow. Type: Guide (One-way) Solenoid Valve. Pressure regulating valve (steady flow valve) function similar to water flow switch. Strong resistance to acid, alkali, salt corrosion ability;. Opening pressure: 0.5 Kpa. Shell material: ABS Resin. Diaphragm material: Silicon Rubber. We will do our best to solve your problem. Maximum back pressure: 0.3 Mpa. Connector: DN15 20mm. No bypass pipe is required, and the distribution pipe is simple, which can save a lot of space and distribution cost. 1 x Pressure Regulator. Material: brass. This product can withstand pressure of 1.6Mpa. 1x Pneumatic Valves. Lubrication: Not required. Port size: In= Out=PT1/4". Port size: 1/4". We will try our best to reduce the risk of the custom duties. 76.7 35 22mm. Trending at C $12.93eBay determines this price through a machine-learned model of the product's sale prices within the last 90 days. 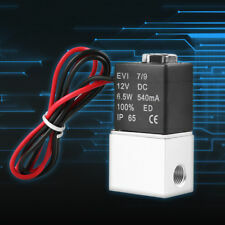 Mini Solenoid Valve x 1. Working mode: Normally Closed. Pressure range: 0~450mmHg. Working temperature range: 0℃~55℃. We afford all cost if it's our fault. Power: < 3W. We maintain the excellent service standards. 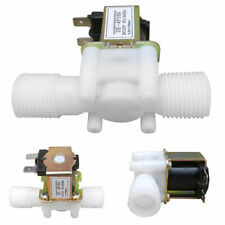 Solenoid Valve Model: 2W-025-08. Body Material: brass. Working fluid: air, water, oil. Seal Material: NBR. Fluid temperature: -5 ~ 100 ℃. Size: approx. Canada, United Kingdom, Austrilia, France, Germany, Spain, Ireland, Italy, Others. 1.5" Sanitary Stainless Steel 304 Butterfly Valve Tri-Clamp Silicone Sealing. 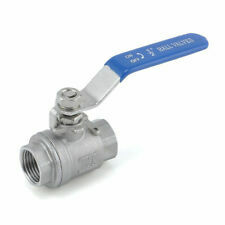 Valve material : SUS 304 Stainless Steel. Connection: Clamp. Clamp OD : 50.5mm. Sealing material: Silicone. Well Applied To Stainless Steel Pipe System. Armature Tube Material: Brass. 1 x Solenoid Valve. Valve Type: 2 Way Normally Closed (Valve opens with energized). Flow Rate: 0.23Cv (Fluid Flow). Body Material: Aluminum. Size: approx. 30 x 22 x 61.3mm Material. Trending at C $6.68eBay determines this price through a machine-learned model of the product's sale prices within the last 90 days. DC 12V 1/4" Solenoid Valve. 1 x Solenoid Valve. Pipe Size: 1/4". Material: Brass. Working Pressure Difference: 0~1 Mpa. We will try our best to reduce the risk of the custom duties. Model: 2W-025-08K. Inertial force huge impact. Stroke: 34mm. 1 x Electromagnetic Electric Magnet. Long service life. USA, Canada, United Kingdom, Austrilia, France, Germany, Spain, Ireland, Italy, Others. Canada, United Kingdom, Austrilia, France, Germany, Spain, Ireland, Italy, Others. 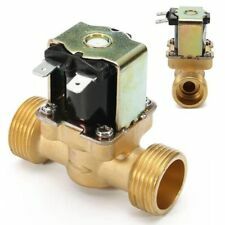 1pc x solenoid valve. Type: normally closed. Port size: 1/4". Size: approx. 40 30 60mm (L W H). USA, Canada, United Kingdom, Austrilia, France, Germany, Spain, Ireland, Italy, Others. Canada, United Kingdom, Austrilia, France, Germany, Spain, Ireland, Italy, Others. Thread: NPT female. 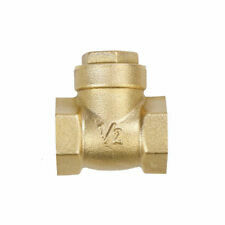 High pressure 3 way ball valve L port, especially suitable for Gas，Good seal，no leakage. Structure: L Port Reduce port. Notice: This is L Port, Reduce Port. Zero leakage. Model: MXG461.15-0.6U. Siemens 1/2" Modulating Control Valve 72 PSI Close Off, 24VAC. 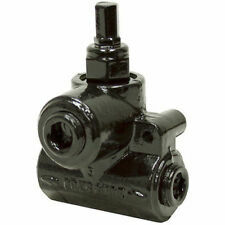 Description: 1/2" Modulating Control Valve 72 PSI, 24 Volts AC. This listing is for a Siemens 1/2" Modulating Control Valve 72 PSI, 24VAC.